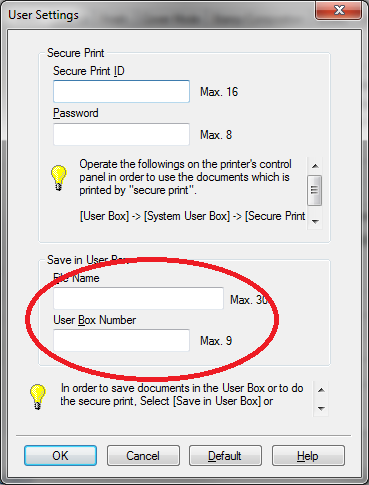 These instructions describe how to print secure documents to the Konica/Minota BizHub 751 and C451 Multi-Function printers. This requires the customer to login to release the print job at the printer. First, the customer must have a login for the 751/451, with a PIN. These are usually set up by the Music administrator. Log into the LCD panel using the admin PIN. Select "One-Touch / User Box Creation". Enter NetID of the customer for the name. Put in "public". Assign a user box number, and a secret PIN code. * Remember the user box NUMBER and PIN! This number must be used again later. The MFP is now able to receive documents to the customer's "box". To do this, go to the customer's computer and print a job to either the 751 or c451 queue. 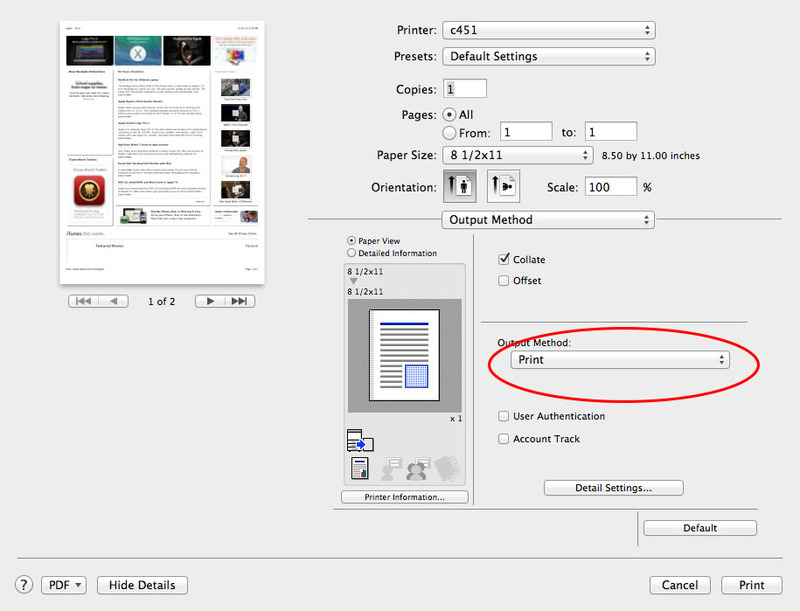 Using the System Dialog (Hint: CTRL+SHIFT+P in Chrome), select the printer you want and click "Preferences". 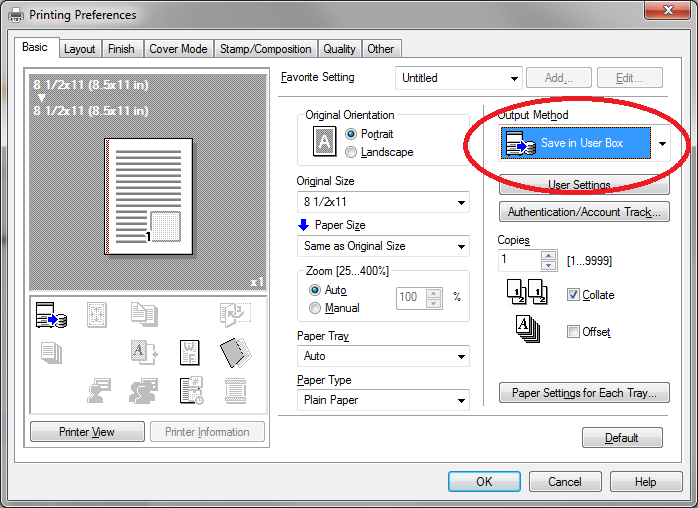 In the upper right corner under "Output Method", select "Save in User Box". an additional dialog pops up. for "File Name", type in something to identify your document at the printer. Enter the USER BOX NUMBER from step 1 above. Select OK, then print. The document will be sent to the "user box" on the printer. Now you must go to the printer to release the job. 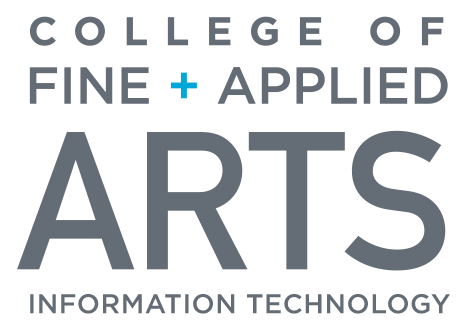 Log into the printer using the pin code established by School of Music. Click the “User Box” button. Select the user box with your user name. 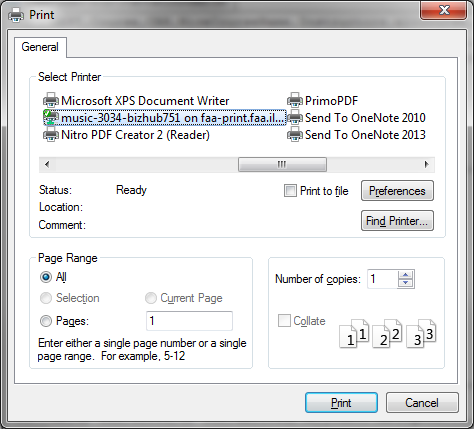 Select the job to print, click "Print". 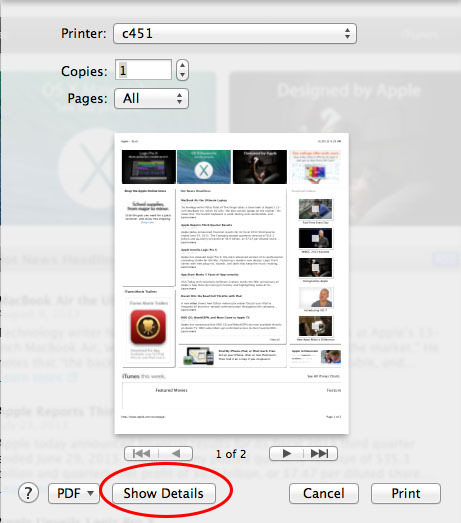 At the print dialogue, click "Show Details". Select "User Box" under the "Output Method". Insert a descriptive identification for "File Name". this is just what shows up on the printer display. 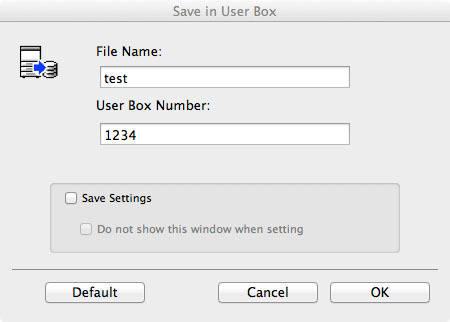 For User Box Number, enter the customer's box number set up initially. Click OK and the job will be sent to the proper user box.